Birmingham is the second largest city of the UK. Maulana Muhammad Munawwari, Ismail Suleman and Ahmad Suleman of Rahadpor arrived here in 1962. They were followed by Hafiz Ismail of Tankaria. Today about 45 Bharuchi Vahora Patel families live in Birmingham. Masjid-e-Ayesha and the attached madrasa are managed by Bharuchi Vahora Patels. 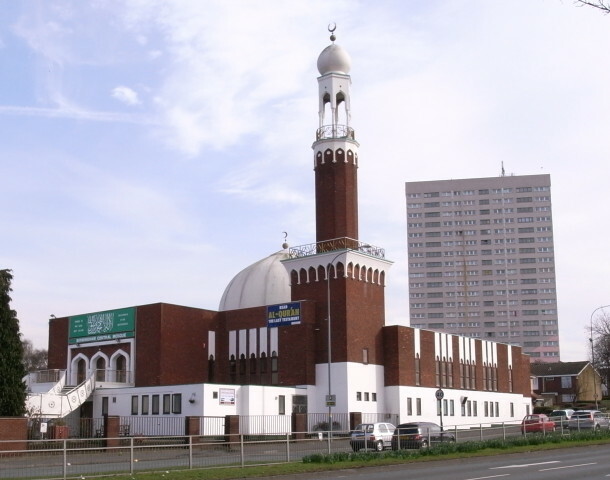 Maulana Faruq Khepi is the Imam of the Jame Masjid in Aston, formerly known as the Saddam Hussein Mosque and Hafiz Ahmed of Manubar has been giving his services as an Imam at the Birmingham Central Masjid. Maulana Muhammad Ismail Munawaree is a learned scholar of Islam and very well known amongst all the communities in Birmingham. He has been regularly giving Friday bayaans (lectures) at Washwood Heath Road Masjid for a number of years now and delivering the Juma khutba (Friday sermon), conducting Juma prayer and giving Qur’an tafsir (interpretation) lessons on Saturdays in the same masjid. Azmat Khandhiya of Tankaria and his son are in the design and printing business. Haroon Bhuta and brothers of Tankaria are garment manufacturers and suppliers. There is one Bharuchi Vahora Patel accountant, two estate agents, one pharmacist and some Bharuchi Vahora Patels are taxi firm owners and drivers. Two daughters of the Bhuta family of Tankaria are graduates and one is about to complete a degree in dentistry. The Bharuchi Vahora Patel population in Birmingham is very small. There are no community centres or old people’s homes belonging to the Bharuchi Vahora Patel community in Birmingham.